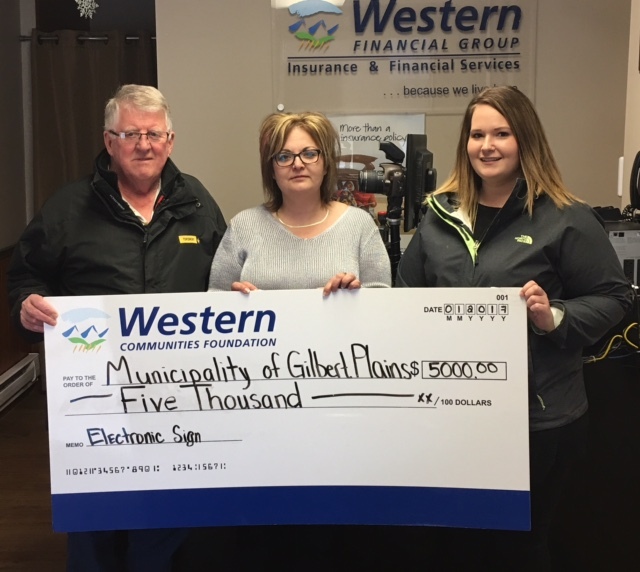 Recently Western Financial Group's Gilbert Plains branch donated $5,000 to the Gilbert Plains Municipality through Western Financial Group’s charitable arm, the Western Communities Foundation. Funds raised will go towards helping with the purchase of a Electronic Sign. Western Financial Group would like to extend a huge thank you to the community for all of their support throughout the year in our fund raising efforts. Without the help of our community it would not have been possible. The Gilbert Plains Western Financial Group office is excited for more fundraising opportunities this coming year.